ALBION – On Thursday (October 11), at approximately 5:45 a.m., investigators with the Oswego County Drug Task Force, with the assistance of the Oswego County Sheriff’s Office and the New York State Police, executed a narcotics related search warrant at 13 Cemetery St. in the town of Albion. 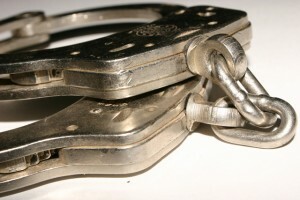 As a result of the search warrant execution, materials used to manufacture methamphetamine as well as a small amount of methamphetamine were located and seized, according to police. It is alleged that the defendants possessed materials with the intent to manufacture methamphetamine in addition to possessing methamphetamine with the intent to sell such. It is further alleged that the defendants possessed digital scales and drug packaging materials. The Endangering the Welfare of a Child charges are based on allegations there were children under the age of 17 living in the residence where methamphetamine was produced in addition to the residence allegedly containing numerous violations of the NYS Building Code. The Town of Albion Code Enforcement Office was contacted to investigate. Both defendants were arraigned in Albion Town Court. 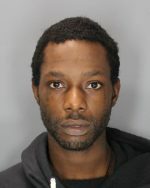 Holmes was remanded to the Oswego County Correctional Facility in lieu of $5,000 cash bail or $10,000 bond. 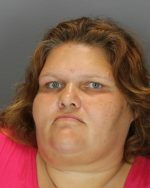 Cannon was remanded to the Oswego County Correctional Facility in lieu of $10,000 cash bail or $20,000 bond. Both are scheduled to return to Albion Town Court on October 17, at 1 p.m. The Oswego County Drug Task Force is comprised of members from the Oswego County District Attorney’s Office, Oswego County Sheriff’s Department, NYS University Police at Oswego, U.S. Border Patrol, U.S. Homeland Security Investigations and Oswego City Police Department.